This week's assignment is to create an animal character. At first I was roughing out a giraffe character because I love to draw the giraffes at the LA zoo. The more I drew the character, the more it seemed too similar to Craig Kellman's design of Melman in Madagascar. 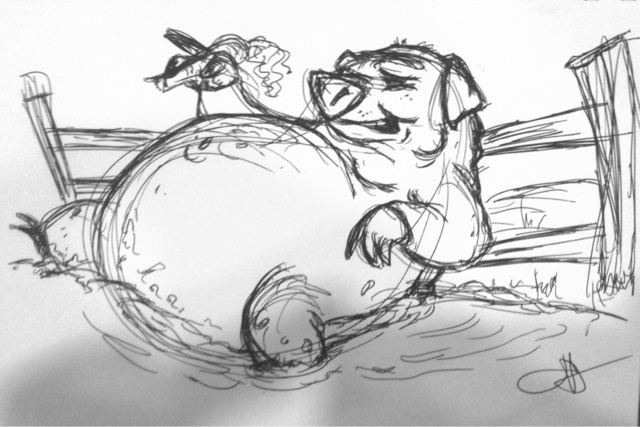 Instead I decided to draw a pig. Here's my rough design. I'm not sure if I'll have time to clean it up this week.